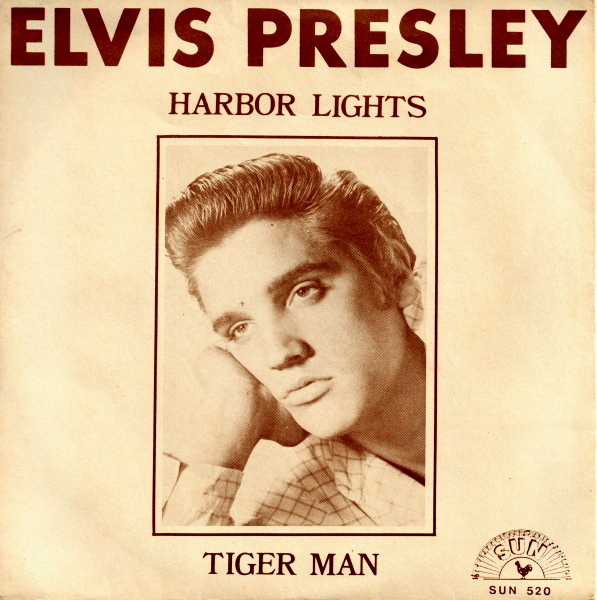 One of the July 5, 1954 takes surfaced as a track on the 1976 double LP, Elvis – A Legendary Performer, Volume 2. 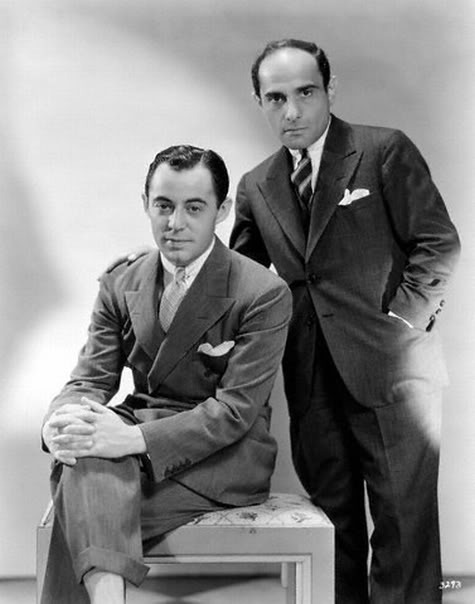 Lorenz Hart wrote new lyrics for the tune to create a title song for the 1934 film Manhattan Melodrama…The song, which was also titled It’s Just That Kind Of Play, was cut from the film before release, and registered for copyright as an unpublished work on March 30, 1934. The studio then asked for a nightclub number for the film. Rodgers still liked the melody so Hart wrote a third lyric: [sic] The Bad In Every Man…which was sung by Shirley Ross made up in blackface. The song, which was also released as sheet music, was not a hit. 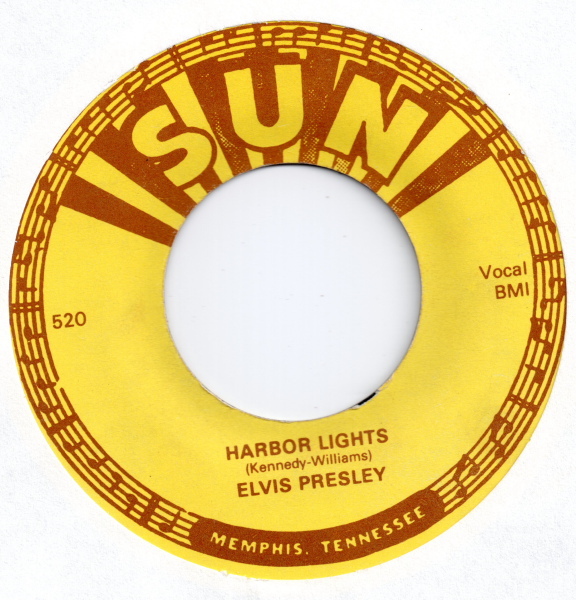 Recorded on August 19, 1954 at Sun Studio, Memphis, Tennessee — The recording was included on Elvis’ debut album Elvis Presley, RCA Victor LPM-1254, released on 23 March 1956. 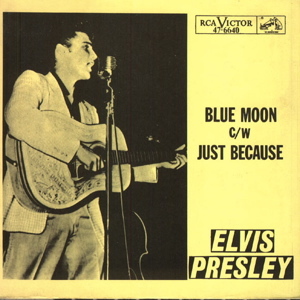 The single RCA 47-6640, featuring “Blue Moon” b/w “Just Because,” was one of six singles drawn from the album that were released on 31 August 1956. 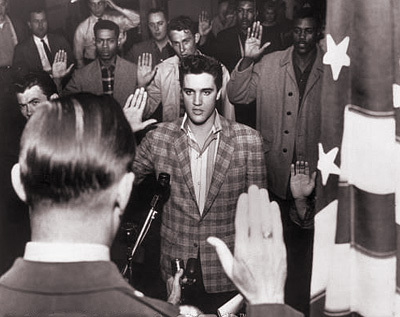 The Elvis histories and sessionographies that I’ve checked are in agreement that Presley, Moore, and Black were the only musicians present during the August 19, 1954 session. However, it’s odd that none of those accounts attempts to provide an explanation for the clippety-clop percussion on the recording of “Blue Moon,” since the first percussion on an Elvis recording is generally acknowledged to been that played by Jimmie Lott during a March 1955 session on the song “I’m Left, You’re Right, She’s Gone.” Perhaps the percussion was added to a cut of “Blue Moon” in 1956 when it was selected for inclusion on the debut Elvis album. A song titled “I’ll Be Home For Christmas” was first copyrighted on August 24, 1943 by Walter Kent (music) and James “Kim” Gannon (lyrics). They revised the song slightly and re-copyrighted it on September 27, 1943 and it was this version that was made famous by Crosby. The label credit on those old Crosby 78’s reads “Kent and Gannon”, but some later recordings credit Kent, Gannon and Ram. The argument over Buck Ram’s credit is that on December 21, 1942 Ram copyrighted a totally different song called “I’ll Be Home For Christmas (Tho’ Just In Memory)”. According to Ram, who was primarily a lyricist, he penned the song when he was lonely and in college and had no way to get home for Christmas. Just prior to it’s [sic] copyright release he had discussed the tune with two people in a bar one evening and had even given them a copy of the lyrics. (Yeah, we’ve heard that one before.) Ram’s publisher took Kent and Gannon to court and won the case so the songwriting credit added Buck Ram’s name to it. Fever (Eddie Cooley and John Davenport) — “John Davenport” was a pseudonym used by Otis Blackwell (Great Balls of Fire, Breathless, Don’t Be Cruel, All Shook Up, Return to Sender). 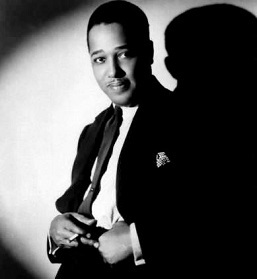 The song was originally recorded by Little Willie John in 1956. 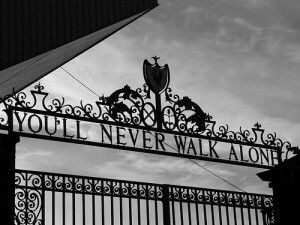 The best-known version is Peggy Lee’s 1958 recording. Recorded 3 April 1960 at RCA Studio B, Nashville, TN; released on Elvis is Back! A number of artists recorded “Are You Lonesome Tonight?” in 1927. 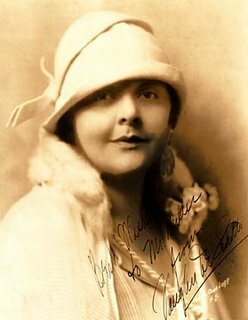 Composer Lou Handman himself played piano while his sister Edith provided the vocals for a recording released on the Gennett label. 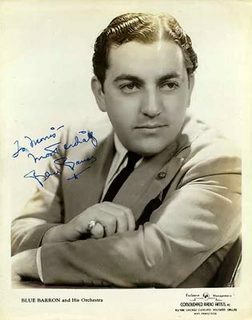 Vaughn DeLeath (also known as “The Original Radio Girl”) recorded the song twice, first on June 13, as solo [sic] and later on September 21, as vocalist for The Colonial Club Orchestra. Around August 1927, another version was released by famed tenor Henry Burr. 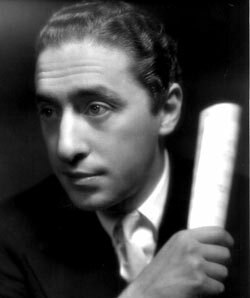 The first charting version of “Are You Lonesome Tonight?” was recorded by Blue Barron for MGM Records as catalog number 10628. The record first reached the Billboard pop chart on April 7, 1950 and lasted eight weeks there, peaking at number nineteen. Only a few weeks after Barron’s recording, Al Jolson recorded a version of the song on April 28, 1950; it was released by Decca Records as catalog number 27043. In 1959 American songstress Jaye P. Morgan had a Billboard #65 hit with it on the MGM label, backed by “Miss You”. This led to the best-known recording, by Elvis Presley, recorded on April 4, 1960, and engineered by Nashville sound pioneer Bill Porter. Colonel Parker (it was one of his wife’s favorite songs) persuaded Elvis to record his own rendition of this song. Elvis’ version was based on [that of] the Blue Barron Orchestra in 1950[, while] the spoken part of the song[, as is the case with Al Jolson’s 1950 recording, makes reference to Jaques’ speech in Act II, Scene VII of Shakespeare’s As You Like It]: “All the world’s a stage, and all men and women merely players: they have their exits and their entrances; And one man in his time plays many parts.” It went on to be one of the biggest-selling singles of 1960, peaking at number one on the Billboard pop chart for six weeks. After entering Billboard’s Hot 100 chart at #35 upon its release, it climbed to the top of the chart where it remained #1 for six consecutive weeks beginning with the Billboard issue of 28 November 1960 (28 Nov 1960-2 Jan 1961 issues). 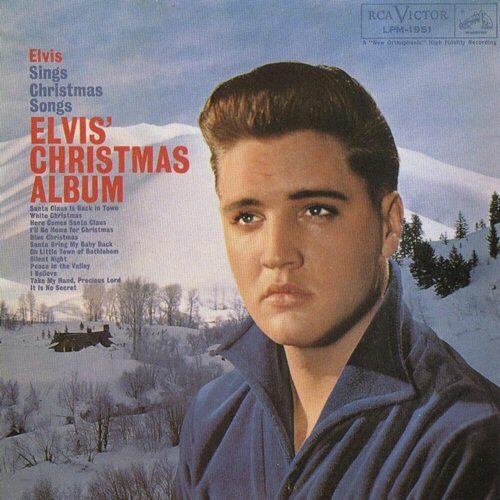 Originally recorded by Elvis on 26 May 1966 at RCA Studio B in Nashville. All nine takes have been issued. During a 7 June 1970 session in which nine songs were recorded, there were five takes (labeled “Remake”) of the song in the same studio. 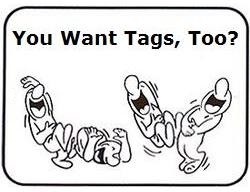 Three of the takes have been issued. From take 5, the master (with string overdubs added) came the first track of Love Letters From Elvis, released 16 June 1971. 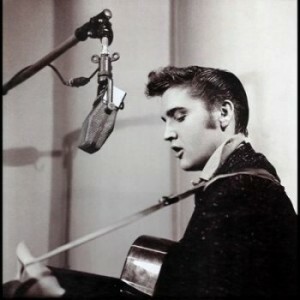 Takes 1 and 3 were released on Love Letters From Elvis, FTD Special Edition in 2008. The undubbed original master (take 5) was released as a “Rough Mix” on Elvis Country (FTD), in 2008. (below) Unidentified; likely from the same take as the one above. Chuck Jackson’s original recording, as Any Day Now (My Wild Beautiful Bird), Wand single 122, was produced by Luther Dixon and arranged by Bert Keyes. Released in April 1962, it entered the Hot 100 on 28 April that year and climbed to a peak chart position of #23. According to Wikipedia, it spent six weeks in the Top 40. “Any Day Now” is a revised version of a Bacharach & Hilliard song called “Lover,” which had been recorded by Tommy Hunt earlier in 1962 but left unreleased. 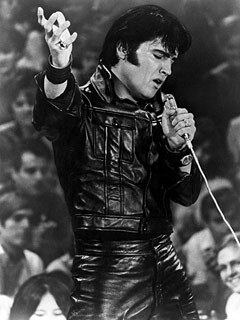 [Elvis] Presley recorded a cover version of “Any Day Now” on 21 February 1969 at American Sound studios, Memphis, Tennessee. This version appeared on his acclaimed album of that year, From Elvis in Memphis. 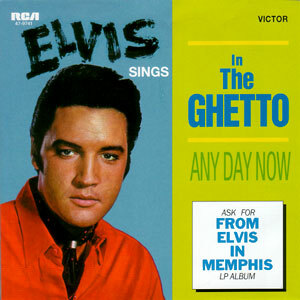 Although not released as a single in its own right, the song appeared as the B-side to Presley’s #3 US pop hit, “In the Ghetto”, which appeared on the same album. Elvis Presley — According to Keith Flynn’s Elvis Presley Pages*, six takes were recorded on 21 February 1969 between 1:00 AM and 4:00 AM. Take six became the “Unrepaired Undubbed Master.” Four overdub sessions were required to create the overdub master: On 22 February there was “vocal repair of the middle part.” Brass and string overdubs were added on 18 March, and backup vocal overdubs on 25 March. Fools Rush In (Where Angels Fear to Tread) is a popular song published in 1940 with music by Rube Bloom and lyrics by Johnny Mercer. 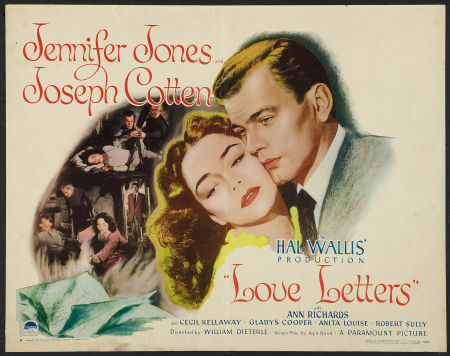 Like “Blue Moon,” “Love Letters,” and “Fever,” it is a jazz standard as well as a pop standard. The major hits at the time of introduction were Glenn Miller with Ray Eberle and Tommy Dorsey with Frank Sinatra. It was also recorded by Billy Eckstine. The song proved popular with 1960’s pop and rhythm and blues artists, resulting in charted remakes in 1960-61 (Brook Benton), 1962 (Etta James), and Rick Nelson (1963). The Rick Nelson version was a notable hit, reaching #12 in the Billboard pop charts. It was also recorded by Doris Day and André Previn in their 1962 album ‘Duet’. 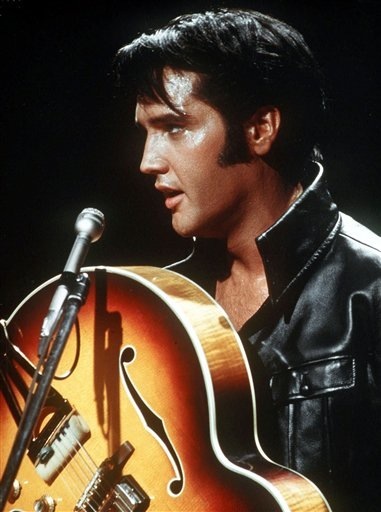 Elvis Presley — recorded on 18 May 1971 at RCA Studio B in Nashville, Tennessee. 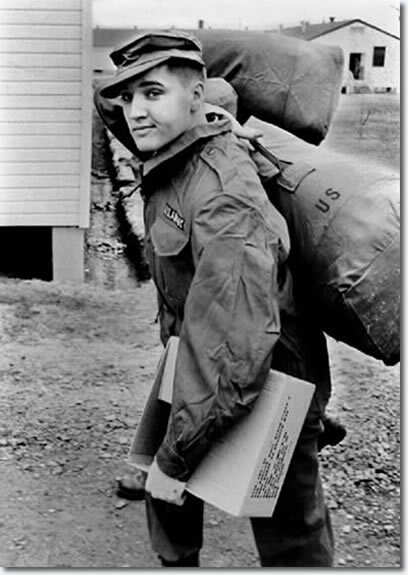 According to Keith Flynn’s Elvis Presley Pages*, there were 24 takes, though only five were complete. The master comes from the 24th take, left undubbed and edited only with a fade, reducing the length by 14 seconds. ** If this take is from the 26 May 1966 session, then it would appear to be drawn from one of the four complete takes (2, 7, 8, or 9). Except that its length indicates that it is cut short, because none of the complete takes are shorter than 2:58, and the audio stops at around 2:50 in this one. Take 9 is the master, and the most frequently released of the nine takes. It could also be the undubbed 7 June 1970 master (2:55), again cut short by several seconds. The dubbed version of the master includes strings added on 27 October. There are no strings present here.